As the defense budget comes under increasing pressure, many have suggested nuclear weapons as an area for savings. But estimates of what the United States spends on nuclear weapons widely vary. This report provides an estimate of US spending on nuclear weapons that resolves most of the ambiguity created by that variance. It makes two key contributions to the debate about nuclear weapons spending and nuclear weapons policy. First, it clarifies there are few disagreements about the costs of particular components of the nuclear enterprise-which are usually based on official accounts. 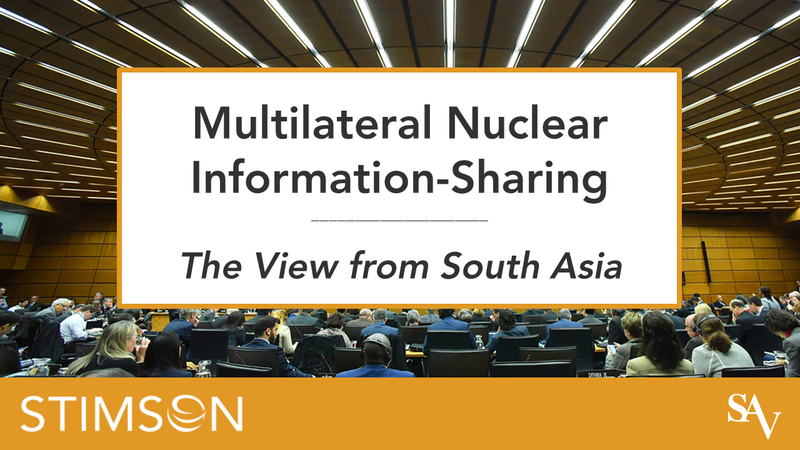 Instead, most of the ambiguity stems from disagreements about what should be included as nuclear costs under the broad umbrella of costs associated with or related to nuclear weapons. This report reviews official estimates and independent studies, and then arrays these in a like manner to demonstrate most disagreement is definitional. Second, this report takes a new approach to estimate the costs of the most uncertain part of the nuclear enterprise. It provides a new estimate where disagreement is real and not just definitional. Although many costs might be reasonably included as part of the broader nuclear enterprise, the costs associated with strategic nuclear offensive forces are most contested and yet also most relevant to on-going policy debates. 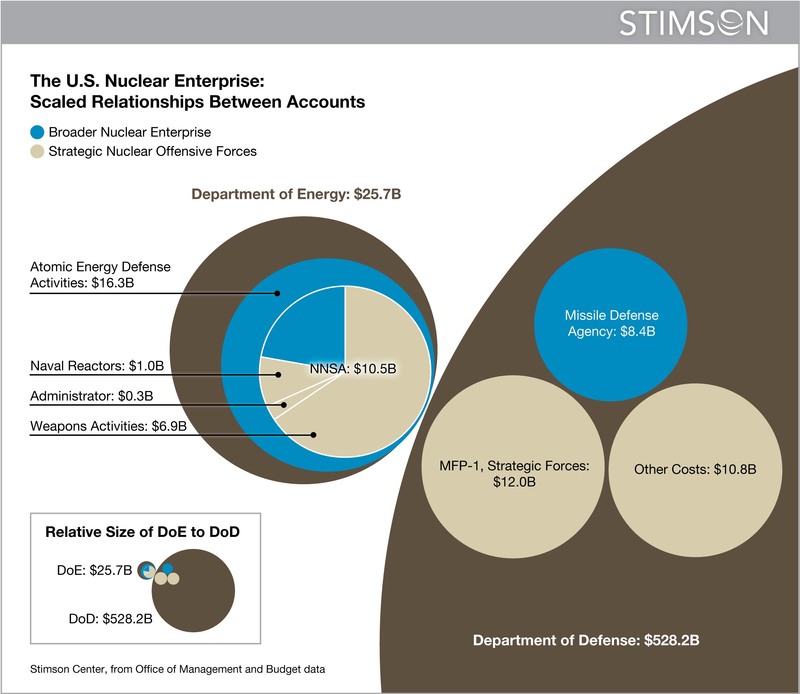 Although the Departments of Defense and Energy each have an account dedicated to these costs, there are costs that support strategic nuclear offensive forces outside of these accounts as well. For the Department of Energy, these costs introduce relatively small swings in estimates; conversely, the size of the Department of Defense budget allows for very large swings in estimates. This report uses an inductive, bottom-up method to estimate the costs within the Defense Department more exactly than previous studies, which have relied on deductive, top-down methods. Using this methodology, this report estimates that the Department of Defense spends $23 billion in support of strategic nuclear offensive forces. Of these costs, $12 billion are found in the account dedicated to strategic forces, while $11 billion support strategic nuclear offensive forces, but lay outside of the account dedicated to strategic nuclear offensive forces. Despite the greater granularity of this methodology, some uncertainty remains for two primary reasons: the difficulty in assigning costs of aerial refueling tankers that support strategic nuclear offensive forces, and the theoretical difficulty in clearly delineating what is strategic nuclear offensive forces. of US government spending on nuclear weapons-the broader nuclear enterprise-but only an estimate of the spending on a single subset: strategic nuclear offensive forces. At the very least, this study should clarify that official estimates relying on a narrow definition of the nuclear enterprise, or even of strategic nuclear offensive forces, understate the actual costs the United States spends on nuclear weapons without settling once and for all what is the single right cost of the nuclear enterprise. Underlying debates about nuclear weapons spending is the policy debate about nuclear weapons themselves. Too often this more important debate is confused by the debate about costs. This report resolves the ambiguity that has long persisted in the costs of nuclear weapons in order to return the debate to the basic policy questions.